Former DEA agent Aidan Gallagher has moved back to Harmony Harbor in hopes of winning shared custody of his seven-year-old daughter. He also hopes that finding the person responsible for the deaths of his mother and sister and bringing them to justice will give him the closure he needs. So he reopens the case, and the beautiful Julia Landon quickly becomes a person of interest... not only as a suspect. "I've fallen in love with Debbie Mason's Harmony Harbor. She's created a group of interesting, realistic characters and woven them into a perfectly imperfect fabric of life in her small east-coast town." --The Romance Dish "Top Pick! 4 1/2 Stars! Mason has a knockout with the first book in her Harmony Harbor series." 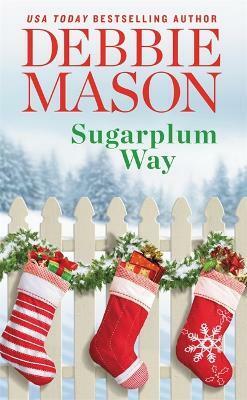 Debbie Mason is the bestselling author of the Christmas, Colorado and Harmony Harbor series. Her books have been praised for their "likable characters, clever dialogue and juicy plots" (RT Book Reviews). When she isn't writing or reading, Debbie enjoys spending time with her very own real-life hero, three wonderful children, two adorable grandbabies, and a yappy Yorkie named Bella in Ontario, Canada.